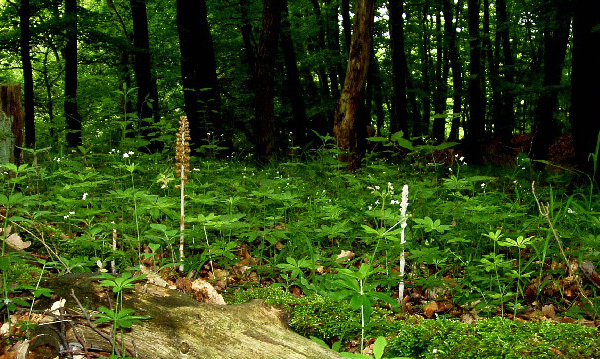 The strong plant with a height of 15 to 40 cm has no foliage leaves at all – it is getting its needed nutrients from a mycorrhizal fungus that is attached to a forest tree and its photosynthetic system. The inflorescence consists of 10 to 60 flowers with a light scent of honey. Sepals and petals form a loose hood. The broad and rounded labellum is two-lobed. The plant is autogamous: in an advanced flowering stadium the pollinia drop off on the stigma. Linné described this plant at first as Ophrys nidus-avis in his opus Species plantarum (1753). The present name was given by the French botanist Louis Claude Marie Richard in De Orchideis europaeis annotationes (1817). The flowers as well as the whole plant of Neottia nidus-avis are light-brown. There are also plants with more yellowish and also with white colour. This variation has been described as Neottia nidus-avis forma nivea. In 1958, the Heidelberg botanist Hans Reznik studied the pigments of the regular and the nivea form. With the white plant, “there are neither chlorophylls nor carotenoids”, while the brown form at least has one of two forms of chlorophylls he studied (Vergleich einer weißen Mutante von Neottia nidus-avis mit der braunen Normalform. Eine physiologisch-anatomische Studie. In: Planta Bd. 51, 1958. S.696). With the plant shown here it is remarkable that the flowers are not fully developed which can be understood as a form of atavism. 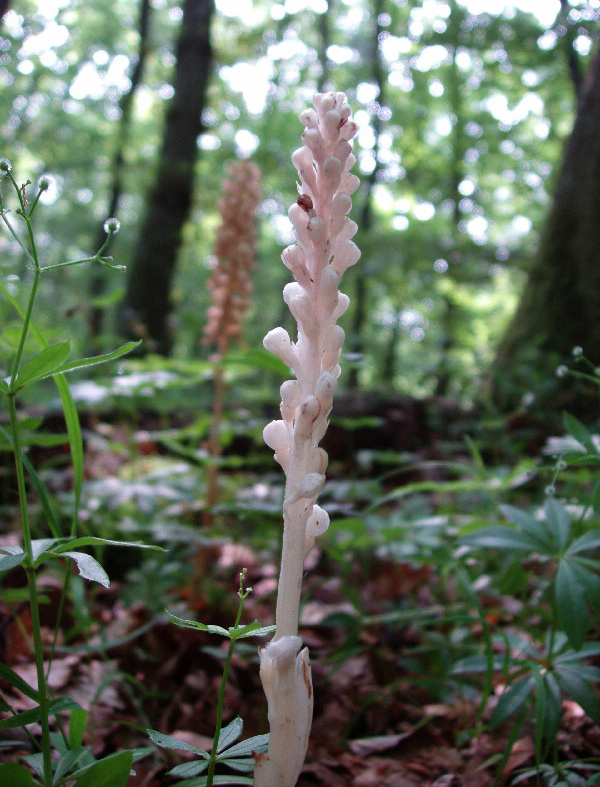 Neottia nidus-avis is growing in forests, mostly with beech and oak trees, firs and pines. Bloom is from May to June. It can be found in large parts of Europe as well as in Asia.